Average rents on newly tenanted properties were up 4.1% in the fourth quarter of last year compared to the same period of 2016, while the number of properties that were newly tenanted in the same period was down 0.7%. Interest.co.nz's analysis of tenant bonds received by the Ministry of Business, Innovation & Employment's Tenancy Services shows there was a slight decline in the number of properties newly tenanted in the fourth quarter of 2017 compared to the same period of 2016, while the rate at which rents are increasing has slowed substantially. Across the entire country 29,481 residential properties were newly tenanted in the fourth quarter of last year, down -0.7% compared to the fourth quarter of 2016. That's a turnaround from the previous 12 months, with the number of properties newly tenanted in the fourth quarter of 2016 being up 2.7% compared to the same quarter of 2015. The national average rent of properties newly tenanted in the fourth quarter of last year was $432 a week, up 4.1% compared to year earlier. But in the fourth quarter of 2016, rents were up 7% compared to the fourth quarter of 2015. That suggests rents are still rising, but at a slower pace than they were 12 months earlier. Those trends are evident across most parts of the country. In Auckland, the country's largest rental market by far, the average rent on newly tenanted properties was $530 a week in the fourth quarter of last year, up 3.6% from the fourth quarter of 2016. Across the region's districts, rents rose by between 1.9% in Auckland's central suburbs to 5.1% in Rodney (see chart below). That's down froma year earlier, when the annual increase across the region was 5.4%, while district rents were up by between 1.8% (Manukau) and 10.2% (Rodney). That trend was also particularly pronounced in Hamiltion, where the annual rate of rental growth dropped from 9.5% to 4%, and in Tauranga which dropped from 9.6% to 5.2%, Rotorua, which dropped from 12.8% to 6.1%, Hastings down from 11.7% to 5%, and Palmerston North down from 6.2% to 2.5%. Even the Wellington region, where rent rises have been particularly steep recently, was not immune to the trend. The average rent across the Wellington region was $457 a week in the fourth quarter of last year, up 6.3% compared to a year earlier. But that rate of annual growth was down from 9.4% in the fourth quarter of 2016. There were also signficnat falls in the annual rate of rental growth Queenstown-Lakes, where it dropped from 14.6% to 4.6% and Invercargill, where it dropped from 6.9% to 3.1%. Areas which went against the trend and recorded a higher rate of annual rental growth included Whangarei, 9.4% compared to 7.2%, New Plymouth 2.8% compared to a decline of -3%, Canterbury 0.7% compared to 0.5%, Nelson 4.9% compared to 0.5% and Dunedin 5.5% compared to 2.2%. The latest figures suggest affordability is probably having a significant impact on moderating rent increases, and that there is a limit to how much the market will stand even in places where there is a significant shortage of rental properties. Sounds like great news, and renters are also getting more free money accommodation supplements. Tough luck landlords! Do you understand rents have gone up 4.4% from last year, much more than wage increases, how is that good news for renters? Don’t beleive that the average rent in Christchurch is $372 per week. We own a multitude of property and we have only got 2 properties less than the so-called average and they are 370and 350 per week for 2bedroom units. Our average rent is over 450 per week! There must be a helluva lot of rentals that are under 300 per week if they are saying that the average is only 372 per week. With the cost of rates, insurance and maintenance etc. there must be a lot of landlords who are propping up their rentals and I would suggest that they get out of the business as they are under renting their property, as their returns would be very poor. That sounds like the gold standard of tenancy data to me. THE MAN 2, well said! 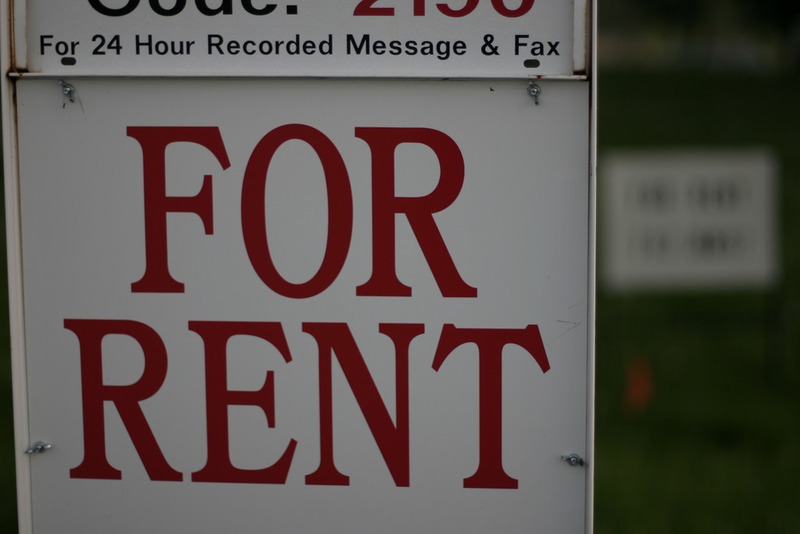 A lot of Landlords are indeed propping up their rentals and are struggling to recoup expenses. In the absence of capital gains (especially in Auckland and Christchurch) plus the universally welcomed healthier homes, the yields are paltry. Right now, rental properties qualify as a lemon investment, and as you know shares too. Hassle free term deposits of 4.25% are very attractive indeed. "For the time being, it's a good time to be a tenant vs first time home buyer"
Houseworks, agreed. Save-save-save, is the road to financial independence. If after testing out all worse case financial scenarios, a good night's sleep can still be had, proceed to borrow and purchase knowing they can truly afford it. Well I'm glad you don't rule out home ownership. In twenty or so years they will have the house paid off while the sorry renter will still be sharing their pay for their weeks work with the landlord. I still can't believe the bad advice dished out by the so called intelligent economist The Sham Shamubeel not to buy a home just to rent and save for retirement through the sharemarket. Only a fool would invest in residential real estate. Home prices by definition only go up with the rate of inflation. Not to mention the headache of dealing with tenants. No thanks. If you insist on owning real estate investments buy a REIT. Otherwise owning equity stocks in productive business is by far a better way to build wealth as shown by countless studies. What about owner occupiers of own home? What do you think of that canton?
" The latest figures suggest affordability is probably having a significant impact on moderating rent increases, and that there is a limit to how much the market will stand even in places where there is a significant shortage of rental properties." ..... certainly, Not Probably. Affordability has always ( not probably) been the main constraint of rent rise in the last 25 years !! Rp, no I am not saying that being a landlord is not very financially sensible at all. Don’t care whether there are capital gains as we don’t sell our property, as why would you when you are all positively geared? On paper we have a,ready made more than enough capital gains on purchase price which has enabled us to leverage very nicely. Flat prices are great for investors as the opportunities are far greater when we dont have competition and vendors are more motivated, and that is when we make the true money. Christchurch property is still very undervalued when you compare to other cities. Yes, I know, there a heaps of people too stupid to have been born at the right time. So what's your excuse then pocketaces? Excuses for what, I'm fine, too old to bother with the rubbish that goes on today, my concern is the younger members of my family, they will not have it as easy as we did, not by a long stretch, we didn't even have to be that financially switched on to be okay, it did not even occur to us that there was even a need to try and make yourself as rich as Croesus. I was an adult when it all changed in the 80s so I think I do know of what I speak. We have gone from us being on a relatively even keel, still with issues to deal with, yes, but Roger Douglas turned it all on its head, and sadly, I think that the Gordon Gecko "Greed is good" mantra is still chanted among many today. I sometimes wonder if as a species we know we have to rein in what we are doing where this planet is concerned, but there seems also to be a mentality of some trying to gather as much for themselves as they can, to hell with everyone else, so they can dodge their part in what we have to do in the upcoming years if we are to leave anything decent for our descendents. My main feeling about it all, is a very, very deep sadness over what has happened to this country. I very much want to see it changed, but I also know when things get like this and people start to get desperate we become ripe for war, and I think we may not be far off that. The last war had an upside, I must say, and that was people realised that indeed, Jack was as good as his master, and that the bonds were greater than the divides. We still see it on Anzac day, but it goes very little beyond that. I think some have little notion of a decent society, to be honest. We have to sort housing out and the growing number of people who feel they have no stake or we are in for serious trouble, if we are not already knee deep in it. What's the answer PA? Regulate prices down? End capitalism and nationalize private assets? Or more emphasis on personal responsibility with a hand up not hand out. Manipulate prices down by a mass state house building program, similar to the original one. Make some of those houses available for purchase by fhbs, long term, secure rentals for some others, then once you have houses at an attainable level then the personal bit can more easily engendered in people. Nothing is black and white as some people seem to think it is. Capitalism does need checks and balances and even the guy on the rubbish truck needs a home. I agree completely about people having homes which by and large all do imo. I am very happy to confess that I find the whole business as it has developed, of using houses as investments, as something I dislike intensely, especially the way we do it. It has been allowed to get so far out of whack now, that the only remedy will actually be providing houses below "market" value. There will need to be some restriction on who they can be resold to. It might be done in a number of ways, we probably have not considered them all, but one thing is for certain, the way it is cannot continue. I hate the system, the people just play the system for what it is. I call for it to change, as I am perfectly within my rights to do so. You can continue playing the market as long as it is structured as it is, but be aware, that it must change. PA you didn't answer my question about the land and houses at Jebson Place/Dey street. What is your view? They should be being utilized some way or another, I guess the National govt had other plans for them. I don't think it's listening to "doomers" that's the problem, but that financial education and knowledge is non-existent. Was he brought up in an environment where he was taught about investing, compounding interest, sharemarkets, saving, leveraging and so on from his parents? Was he encouraged to take calculated risks and better himself? Did he use Google and books to learn about investing and financial management? Were his parents educated brokers or engineers or lawyers, or were they high school dropout shelf stackers and dish washers? I have a feeling you're looking at the issue as though most people are educated, intelligent and financially capable (like Gordon, The Man, Stephen, Sharetrader, Jetliner, David etc) who just pissed away what they have through sheer stupidity and instant gratification. In that case, I agree with you about how they fail to get ahead. However, if that renter is similar to what I listed above, he wouldn't have been given the opportunities to better himself like a lot of others have simply through where and when he was born. There is also such a thing as dyscalculia, the mathematical equivalent of dyslexia, and something I suspect may be far more widespread. THE MAN 2, would you still be in the same position if house prices collapsed -55% along with rents - much as they did so in Ireland? Call it a stress test for a worst case scenario. Think its impossible? Why? I think to completely rule out such a scenario in today's highly leveraged financial climate would be foolhardy. Economic fundamentals are sound until the day after it bursts. ... a bursting of the worldwide credit bubble would be the Mike Tyson's of all punches to the face ! Perhaps at the risk of my sanity, I'll weigh in here. Christchurch is a real-life example of Responsive Supply = Stable Prices. The earthquake sequences caused a temporary decrease in supply (already constrained because of dopey zoneration and plans by the usual suspects). But the combination of EQC munny, insurance claims (many for replacement value, them were the days....) and the Gubmint's inspired action of throwing the plans under the bus and encouraging subdivision, restored elasticity of supply in a very big way. These factors, alone, explain why Christchurch is the anomaly in NZ, and why it is tempting but perhaps pointless to compare deals, landlording, development etc with anywhere else in the land. The usual Opolies: Monopoly-delivered standards, inspections and consents (TLA's and BRANZ), Duopoly-supplied Materials, oligopoly-supplied Elfin Safety. All bulking up costs as the layers interact, and often for zero discernible benefit to the customer. Christchurch is showing the expected pattern where you have unexpected supply disruptions in a restrictive supply market. The point being that in a restrictive supply market, the ability to match supply to demand is always counter cyclical to each other because of the long lead times due to the usual suspects as you mention Waymad. In non restrictive jurisdictions, supply is very responsive to demand almost in developer real time so even though you get variations in demand over time (just as you do in any market), the supply and demand curves almost lie on top of each other, resulting in stable lower house prices. In non restrictive jurisdictions not only can supply easily increase to meet demand, but when demand decreases then the supply can be scaled back accordingly and far less chance a developer getting caught out with excess supply. Far less chance of boom or bust. Due to everything that you have described Waymad, what is really happening in CHCH is that is it still operating under the same restrictive supply rules that all of NZ does but supply is over shooting demand (mainly due to the after effect of a natural disaster), and in typical counter cyclical boom and bust markets, there is always a point where the supply and demand curves intersect. At this one small window in time it will look the same as non restrictive jurisdictions where the curves are almost always touching. The CHCH market is still operating under the same dysfunctional rules as Auckland's, and only looks good at this point in time because the alternative is even worse. All other things being equal, once the speed wobbles caused by the earthquake stops, then it will be service as usual on supply restrictions and house prices. The one thing not being equal and that is meant to happen is Phil Tywfords abolition on the urban growth boundaries. But I suspect that the definition of what this really means will be changed to give control of what gets removed and when, to a monopoly entity, thereby being the status quo in a different form. Sobering assessment, Dale. The one thing I'd add is that Gaia's leetle rumbles also set off, for perhaps the first time ever, a real competition amongst TLA's for the juicy fruits of the munny scramble that ensued. Having Christchurch City ringed by eager, nay, voracious competitors, did wonders for supply, responsiveness and build rates. At least for a time, before, as you pessimistically point out, reverting to the mean. spot on pointing out that CHCH had Waimak and Selwyn just awaiting to take advantage of what happened. And that Auckland's amalgamation to a "Super City' just means a super sized cluster%&$@. Let's put some perspective on the cost of housing rising at what appears to be a greater rate of increase than the CPI or inflation. Income growth is flat or barely growing, therefor the proportion of h'hold income allocated to shelter must be higher. Assuming that individual and h'hold budgets are relatively fixed (they have less potential to spend more than they earn without credit card or consumer debt), what does that mean for spending into the consumer economy from this segment of renters? I think that question is fairly obvious. So what happens when consumer spending falls or is constrained? Retail businesses make less revenue and have to revert to different tactics to get share of wallet. The $1 loaves of bread at the supermarkets is a prime example. And what has this done? "You can't make a loaf of bread for a dollar. It's a skilled trade where the product the workers produce is being pushed down to the lowest-price article you can buy in the supermarket and each year we're losing jobs because they're having to crank up automation on these plants because they can't make any money. So, basically, they get rid of the labour force." Businesses can't compete on price and people losing jobs. Does that really sound good for our property trading economy? Now what happens when businesses across the whole consumer economy face stagnant, little or no growth? What happens when their revenue goes backwards, particularly SMEs and small traders? If they go under, their suppliers lose out too. What does that do for the property trading economy? Many questions with very few answers. It's not good for our economy at all, no. As Ex Expat notes, he's advising his children to join the flood of NZers heading to better prospects off shore. We've continued to have net outflows of Kiwis for years, though it's reduced somewhat (why? fear of missing out on ever being able to return due to house prices?). We've only grown population by importing people from places where prospects are worse again. I.e. developing or Third World nations, primarily. Our younger migrants have been generally coming from places where life is so much worse again, whereas we've struggled to attract many high achievers who are going to increase NZ's productivity and wealth. Where we've attracted money, it's bolt-holers - like Mr Thiel who got rather a good deal from our naive and easily-flattered politicians, our multiple members of China's most wanted, and older migrants who see the attraction of a stable environment, free medical and pension funded by the younger poor, and the ability to live off foreign income or capital and pay no local tax. An older doctor friend said recently, "Back in my day we graduated without debt, and could earn a decent living, buy a house and build a family. There wasn't any need to move overseas to earn more to pay your student loan, houses weren't too expensive because there were plenty of them and the government would even help you build a new one. Young people now graduate with huge debt and face a much harder situation. It's no wonder we have shortages now." Once I saw that the wider world couldn’t give a fig where I went to school (State) or who I knew (Middle lower income parents who didn’t ski, golf, have a beach house or insist I take speech lessons) being an Expat made a lot of sense. I want the same for my children. Doesn't really work if people are farmers and if you want the best of NZers to stay, which government should want. Great for you but not country as a whole. We want the best to stay and attract the best. Not attract third world waiters, fruit pickers not a great swap for NZ the country. My kids have several sets of friends, where the parents are highly educated health professionals, one cardiologist., one respiratory, on consultant psychiatrist. One was living in a 2 bed flat in Wellington central, but to be able to afford a house, had to move out 30km, another, who bought a while ago so did manage to get on the housing ladder in a decent suburb, in close proximity to the hospital but the house is very basic, FHB type house and shabby, another is still in a flat. All sets of parents are in their late 30s early 40s. You can argue till the cows come home that this is fine, (as is frequently stated in these comments from boomers)... if they can get a roof over their heads the younger generations should just shut up and stop whining. But an ongoing dynamic where surgeons in life saving jobs have to be pushed further and further away from hospitals, where the quality of their lives is degrading year on year, is long term going to be a huge problem. These families are Kiwi born, the parents had huge student debt, it's taken over a decade to complete the training and education needed for their specialism. How long do boomers, licking their chops over their high house values, think that these types of families are going to tolerate this? How long before more and more highly qualified, educated health professionals just move overseas? And who is even going to look the boomers in their dotage if this scenario continues to play out? But house prices are just peachy. No problem here. I agree working overseas is a great experience for so many reasons. People should be motivated to work overseas for those great reasons, not because it's becoming a necessity. Living overseas also provides some amazing experiences for children growing up (my experience, though we weren't super-wealthy expats). RP! I agree with Yvil. “The Man”;is happy,with his lot and RP is not! The RPs and myself of this world are not concerned for ourselves, our concern is the future for their families. There are many, that even after taking advantage of history's biggest ever credit creation experiment, still cannot comprehend how it could all come crashing down around them - it's just pure greed. Houseworks, the global economy is STILL on life support - DUH!. Buying a dwelling is great provided it doesn't wreck the finances and families! For the record, I do not wish, hope or even pray for a crash and will not profit from one. Like many hard working Kiwis, I worked long hours for what I saved, lived within my means and no-one else suffered loss because of it. RP, your outlook and your investment choice appear incongruous. Depositors are not going to be treated well in any financial Armageddon and you are locked in for five years. Ex Expat, your statement is flawed. In my case, having my Kiwisaver in cash spread amongst all major banks plus my 5 year Rabobank term deposit is covered under the now grandparented, Rabobank Netherlands parental guarantee. I have little concerns under an OBR event. Not OBR, albeit I see your point with Rabobank. I was referring to the insidious ongoing wealth transfer from depositors to borrowers. Placing funds in a term deposit is one of the lowest risk investments with commensurate low returns. You need to risk it to get the biscuit. PE (if you can get a seat at the table) is a long term strategy to build wealth whereas term deposits are an attempt to preserve it. Ex Expat, I have no problem with low rate returns given that inflation is low and has not eroded my standard of living. Happy to live off crumb returns because I can easily afford to. "Like many hard working Kiwis, I worked long hours for what I saved, lived within my means and no-one else suffered loss because of it." Likewise with us. So maybe we think the same but coming at it from different ends and different route?? I also am concerned for future generations. Baby boomers like The Boy and myself have been blessed by the fact that our generation could buy all classes of assets at a price much cheaper than they cost today. As years went by and they increased in value we got wealthier. I have my doubts about The Boy though as he constantly reminds us about how many properties he owns. We all know that people who cry the loudest are generally not telling the truth. Geez Gordon, you think that “The Man” is telling lies still! Back your judgement then Gordon and take me up on the challenge! I always back my instincts and somshould you! Are you up for it or are you just full of it or is it just the jealousy aspect? Go on Gordon, what’s 50k to you when you say you are one of the lucky ones? I certainly am not jealous The Boy. Why would I be? If you are in fact the owner of a few "as is where is " properties in a town where the values and rents are surely but steadily going backwards (and on top of that add back inflation) why would I be jealous. Bad weather, desolate areas post quakes, quake prone and out of way in the South Island and miles away from Auckland the New Zealand powerhouse. Oh. And the biggest "town" in the South Island and number 17 in New Zealand house prices wise. Make me laugh. So , the rents across NZ have butted up against the wall of reality ... the level that the average renter can afford ... 'cos renters pay out of wages earnt ... they don't go to the bank , take out a mortgage , and gear up to get into renting a house ..
Gordon, how on earth is 2 classed as a few??? Yes you are a very jealous and unhappy man, and not happy with where you are at, that is clearly seen, despite what you say! Are you up for my challenge as you have never given me the answer!!!!! He who shouts loudest has the most to hide! Gordon, nothing to hide whatsoever! Once again you have not answered my question!!! You are the one that is hiding, front up and back your assertions, or do not continue to doubt “The Man”. BadRobot, not too sure what you are on? I have stated many times, that you buy property at under market value that provides you with positive returns. When you have enough of them you can be a full time landlord!. You manage them yourself and your lifestyle is great. Not sure what else you are wanting???? You certainly could not achieve that in Christchurch where house prices and rents are consistently going backwards. And there is inflation on top. You certainly would not want to be borrowing any money and there are not many who buy rentals without some level of leverage. No wonder the property market in that town is probably the worst performing market in the country currently. Who would be a fool to invest solely there and also promote investing there. ....more than stating the obvious. You claim to be business savvy but I've heard nothing that is no more than stating the obvious.I think you overestimate your business skill and ability. People regularly ask you for advice on this site as to how they can get ahead and you never respond. I would not either as you only know about Christchurch housing and we all know both your housing values and rents are dropping down there. Why did you not get involved in Dunedin or the Lakes? No resources maybe. Gordon, you have been advised many times over. ChCh market is great for being a full time landlord and lifestyle superior! Yes a few of our rents have dropped from where they had been but returns are actually better than where they were, due to paying less in interest! House prices are irrelevant to us as we don’t sell but don’t beleive they are dropping at all as so many new houses are being built. They are flat at worst which is what. We like anyway. Taking up the challenge Gordon???? About 5 years ago Chris_J (https://www.interest.co.nz/users/chrisj) was a regular contributor to these pages about the situation in Cristchurch. He was the the spokesperson for his property-investing family. After the quakes he spent considerable effort in the Auckland area as they took their insurance money and refocused elsewhere. He was pretty astute. No braggadocio. In one particular post he mentioned a long established wealthy family by the name of Lee who owned more than 1000 residential properties in Christchurch. Never hear them pontificating. Chris_J has gone quiet too. Owned more than 1000 houses in Christchurch? What a sick world we live in! Didge...why is owning 1000 houses sick? Whether it's one person owning 1000 houses or 1000 people owning 1 house each what does it matter? Who is to provide the rental stock for those who either don't want to own for ease of lifestyle or don't have the credit to buy now and who won't ever have the money to purchase? Who provides the rental stock for those of choice or necessity? You most certainly can't rely on the govt. With limited housing stock (which has developed over years) there is either going to be a shortage for owner occupiers (FHB, families etc) or Tenants....so who gets the house? The person who has a right to tenant out of choice or financial situation or the buyer/owner out of a right to own their own slice of NZ? I think the divide between landlords and renters is very bitter at present, because it has been a pressing issue for some time now on the ground and blown up in the media. The wealth created and the ones that are missing out. If there are not enough houses to go around how do we provide such accommodation for renters, who supplies the rental stock? 1000 houses may have been created over years of investments, this may have been created through redevelopment of dwellings and providing even more housing stock to shortages already. Why does it matter if one person owns 1000. Do you think they went out yesterday and swooped in to buy up 1000 houses and take that away from would be buyers wanting a roof over their head.....what happens to the 1000 tenants if those houses aren't in the rental stock pile? Would the owners have developed the land to create more dwellings? Could there have potentially been jobs sustained through any advertising, maintenance, development, construction, financing, sales, or other? Perhaps you could re think your comment? "Whether it's one person owning 1000 houses or 1000 people owning 1 house each what does it matter?" It matters hugely, that would mean that all those renting of 1 person would own their own home and not require landlords. Maybe if that person with 1000 actually BUILT them, there could be a case, if they went out and purchased existing ones and just changed how they were occupied then no, that is just parasitic activity. Only now has "Upsides" post been brought to my attention and frankly I dispair at his myopic view. For example "what happens to the 1000 tenants if those houses aren't in the rental stock pile?" The tenants are probably far better able to buy their own home. He/her also suggests that investors help to create the supply of housing. However, our current housing shortage surely refutes that utterly groundless claim. Yet someone that does own 1000 properties would be in a position to build more but that of course would not be to their advanatge. PA, read my comment again, so if 1000 people own their house instead, where do 1000 tenants go? Not everyone wants to own and not everyone can afford to own. So where are the 1000 who might otherwise own?? PA, do you know specifically how those 1000 homes where created or purchased? If not why are you even putting in a throw away comment. Seems a lot of throw away comments on here without actual fact! BUT, it is a blog and that is opinion based most of the time! Trouble is, people see the future minus a universal superannuation. There is not enough opportunity outside of residential real estate so there is this almighty mad rush to accumulate as much of it as possible among those who are able, plus the addition of it being "tactile". For them to succeed doing this, it is necessary for far, far more to be unable to buy their own home. Only a few will rent because they have bigger fish to fry, the bulk will rent because they have little choice and it is not rocket science to see that it is in the property holders interests for it to remain so. The easiest way to achieve this is to keep them priced out of the market. What those kept out of the market will do for their retirement is anyone's guess.